Italian public broadcaster #Rai will bring the total number of HD channels to 11 on the country’s free-to-view DTH platform #TivuSat. An Ultra HD/4k channel is also in the works. The introduction of the HD channels will come in phases: in January 2016 the number of HD channels will increase from the current four (HD Rai 1, Rai 2 HD, Rai 3 HD, and Rai Sport 1 HD) to seven with the addition of Rai Movie HD, Rai Premium HD and Rai 4 HD. The satellite platform will have three temporary event channels in August, during the Olympic Games in Rio de Janeiro: Rai will dedicate three channels to the Olympics, all in HD. 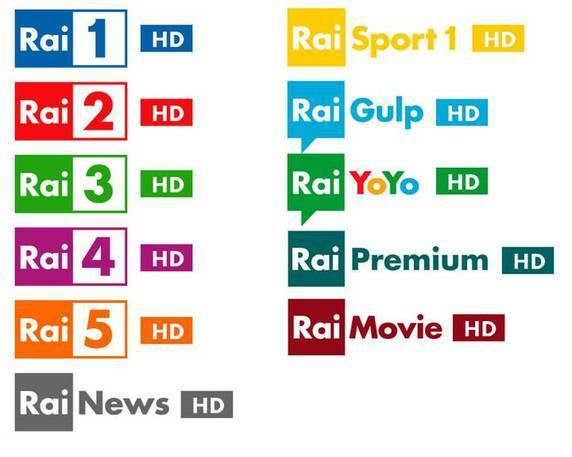 In September another four channels will be added: Rai 5 HD, HD Rai News 24, Rai Gulp HD, and Rai YoYo HD. All the new HD channels will exclusively be available on the TivuSat free-to-view DTH platform. On the country’s DTT network there are currently seven HD channels available, divided between Rai, Mediaset and La 7. In addition, an experimental 4k/Ultra HD channel will be launched at the end of 2016, or the beginning of 2017.